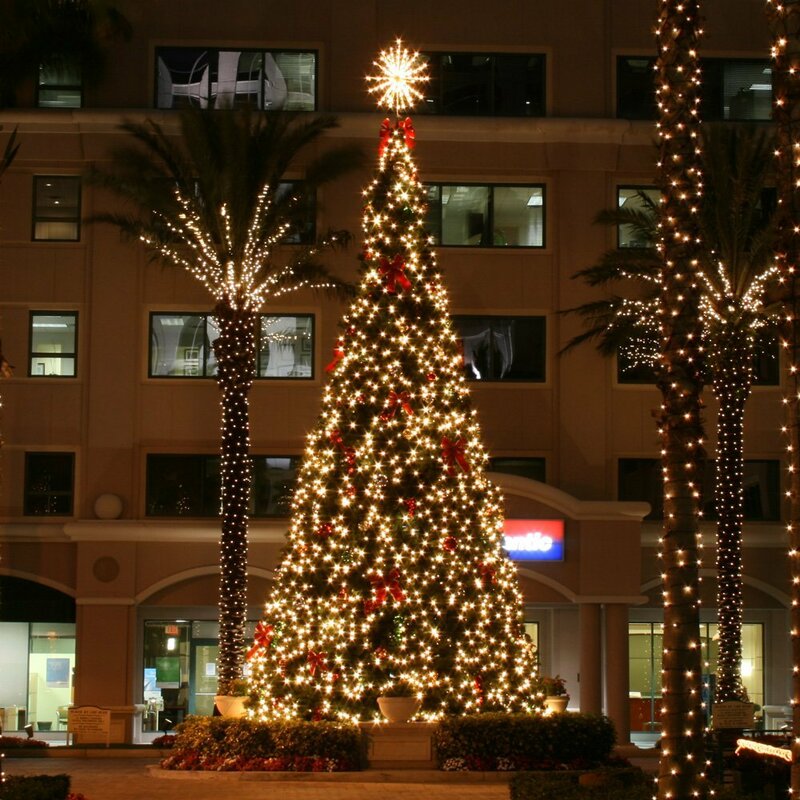 Majestic Mountain Pine tower trees are lush commercial grade artificial indoor or outdoor Christmas trees with advanced LED lighting technology. Multiple bulb and color options available. 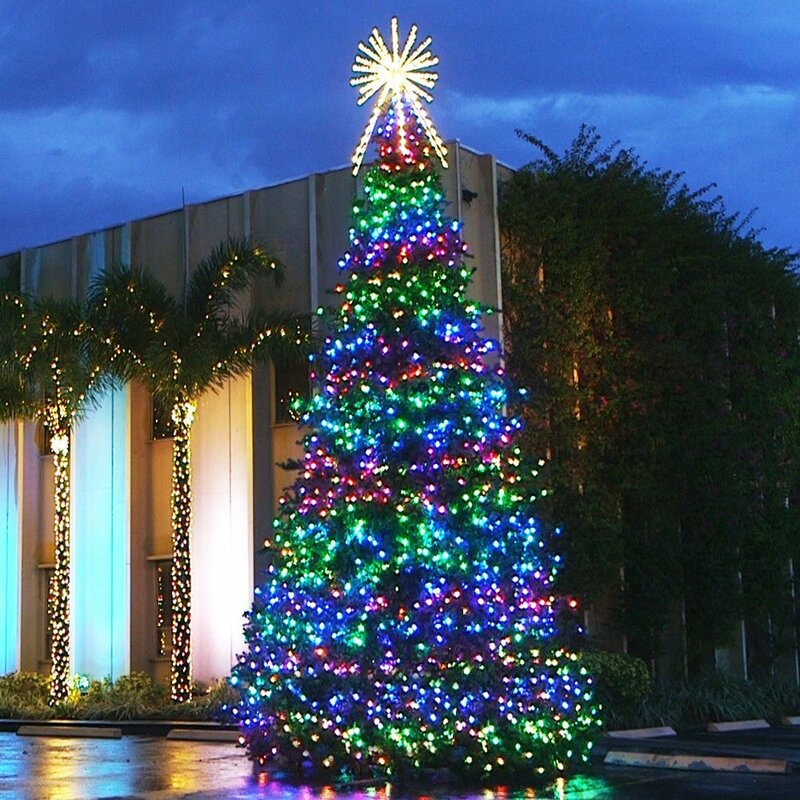 Latest generation RGB animated LED technology combined with our world renowned Majestic Mountain Pine Tree. Create a breathtaking commercial Christmas centerpiece. 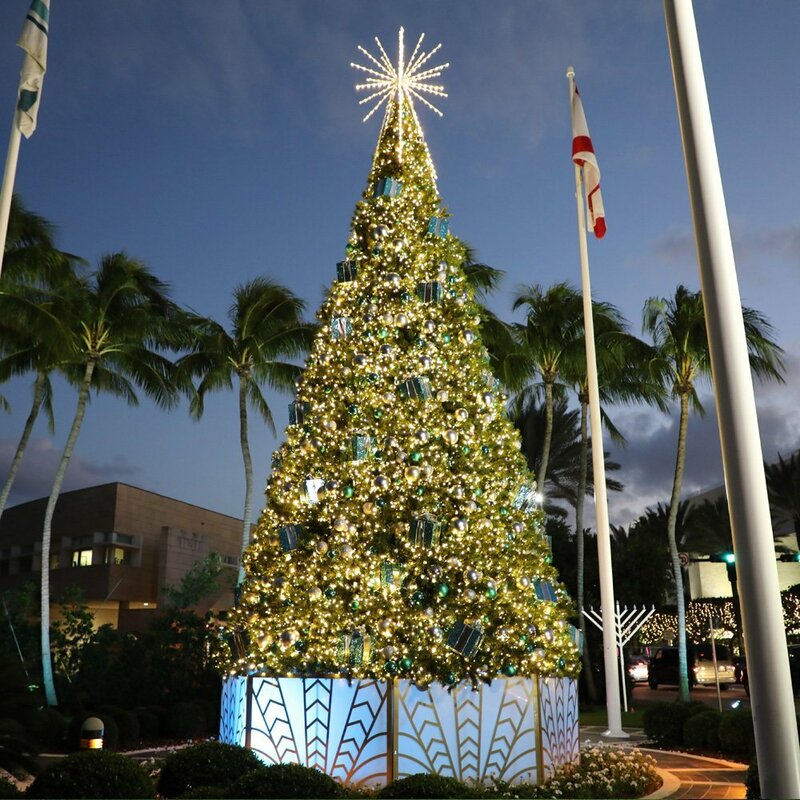 Ideal choice for commercial and high-end residential, the Majestic slim base tower tree is perfect when a more refined, elegant tree is desired. 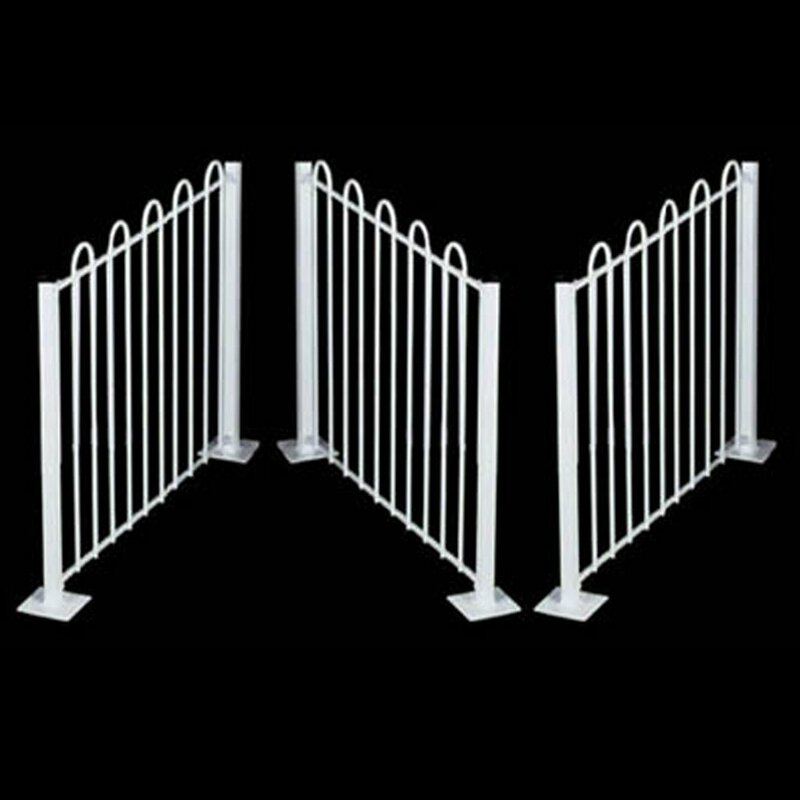 Designed for indoor or outdoor decorating applications. 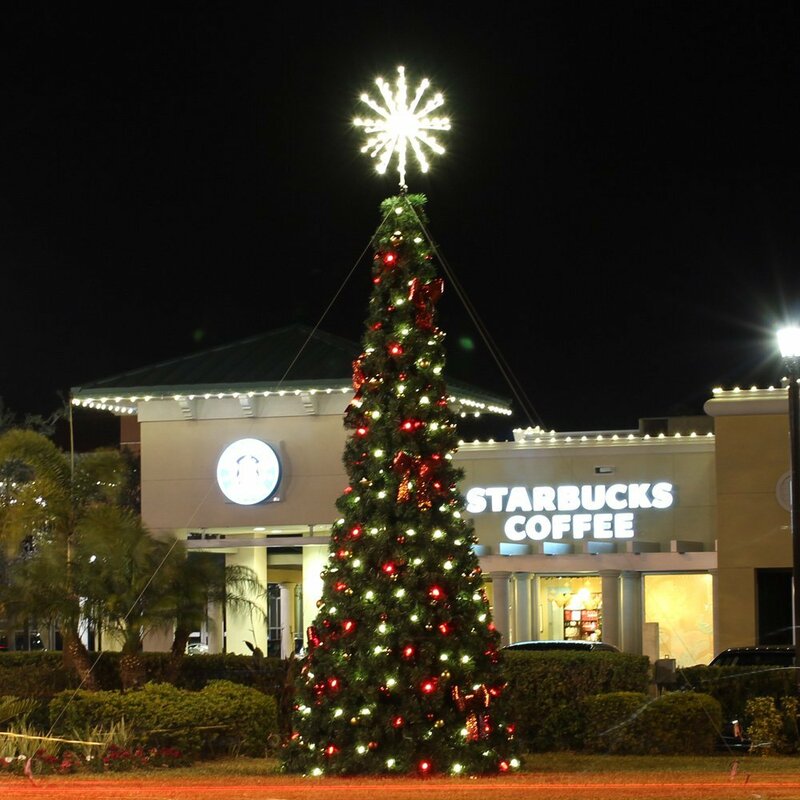 The original commercial Christmas tower trees remain a popular tree throughout the world. 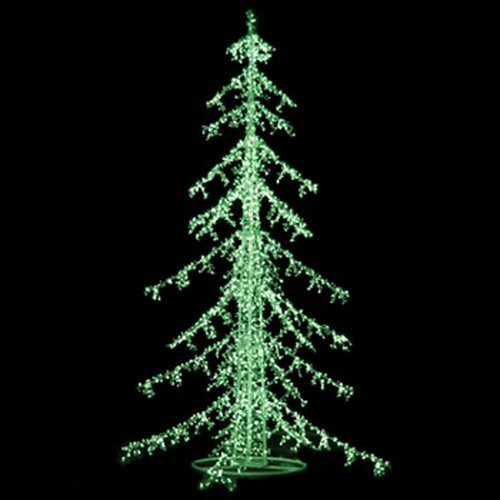 Classic design combined with quality LED lights creates a quality tree that stands the test of time. 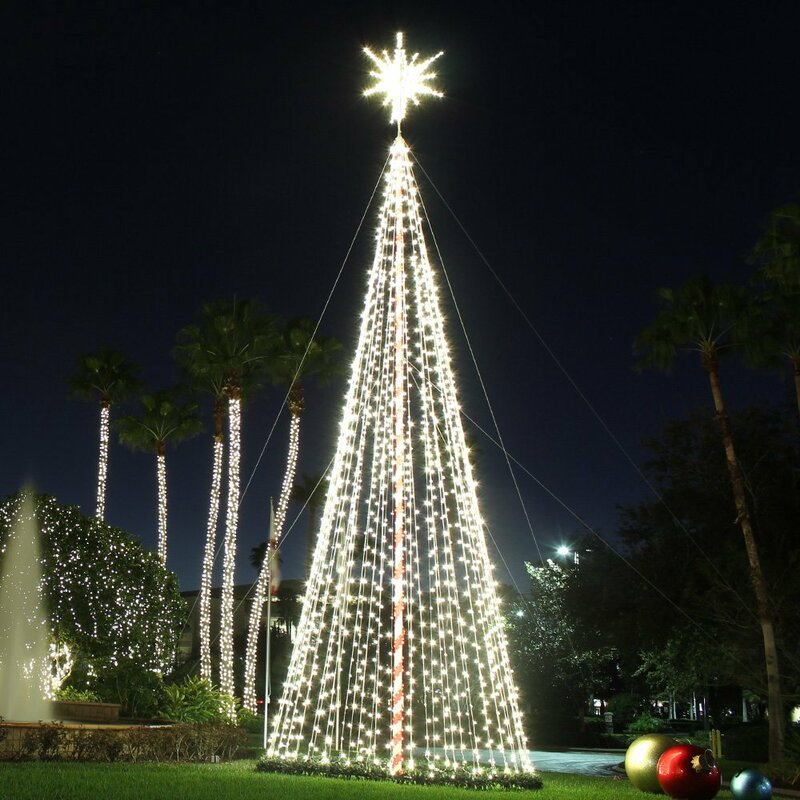 Commercial Christmas trees of light offer easy installation, compact storage and years of trouble free Christmas decorating. 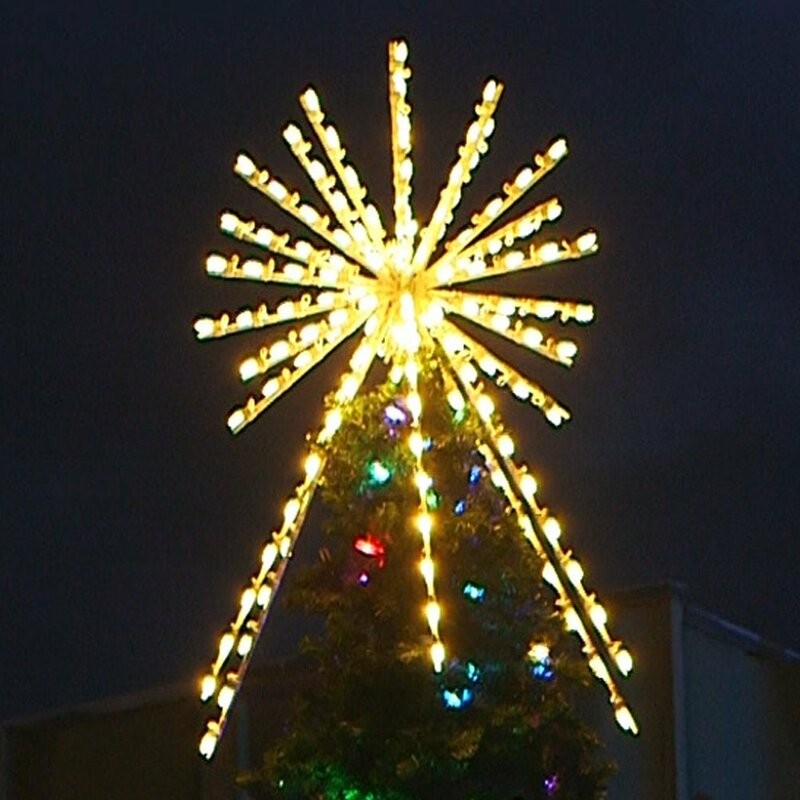 Variety of design options for any budget from small animated spiral trees to giant LED C7 tree of lights. 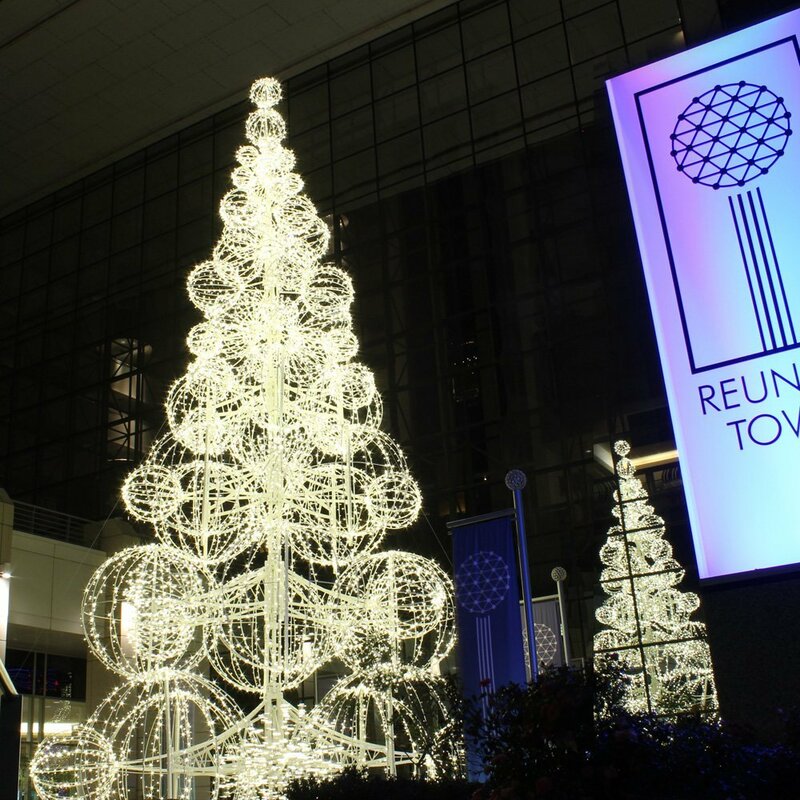 Grand Illuminated Sculpture Trees known more commonly as Sphere Trees offer a modern design twist on the classic commercial Christmas tree. 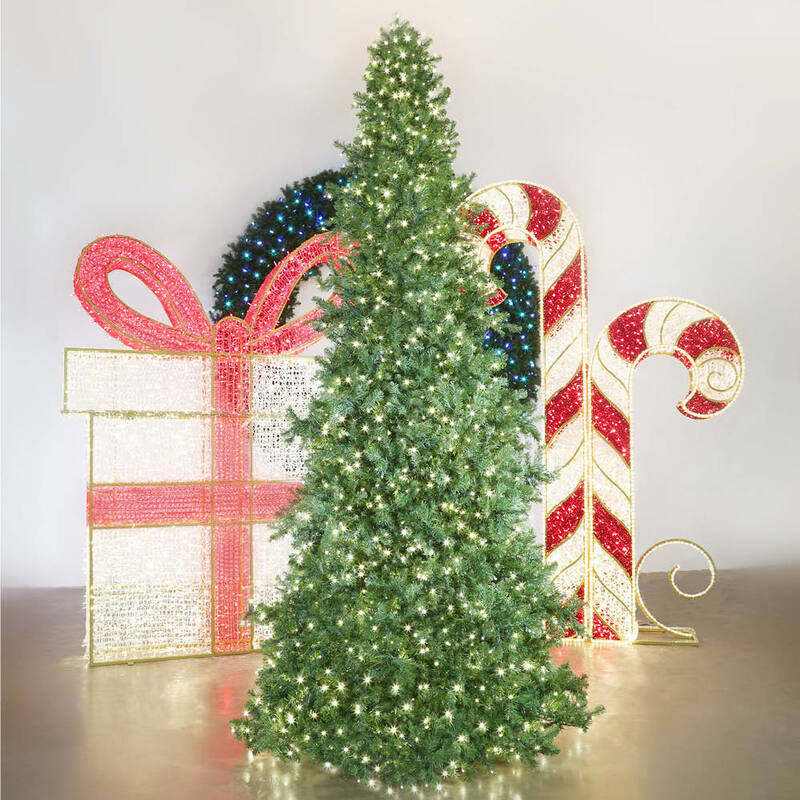 Elegant multi sized spheres are lit with Wide Angle Conical LED lights offering a brilliant Christmas centerpiece.